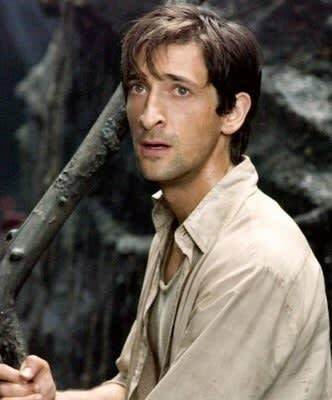 While others saluted Adrien Brody’s against-type performance in last year’s Predators, we couldn’t hop on the bandwagon. In our eyes, an action hero shouldn’t resemble a taller, skinnier, and much more suave Pee-Wee Herman. The same qualm existed for us six years ago, when Peter Jackson turned the wiry Brody into a dinosaur-hopping, gorilla-challenging hero in the altogether grand King Kong remake. The overall spectacle is too vast for Brody to spoil, but that doesn’t mean our eyes don’t roll every time he springs into unpersuasive action.